When we were searching for the ideal RV for us as full-timers, we made lists of “must haves” and “would really like to haves”. One item on the “would really like to have” list was an electric fireplace but the Thor Palazzo 35.1 didn’t come with one. No problem – the Palazzo had almost everything else on our list so we would forego the idea of having a fireplace. 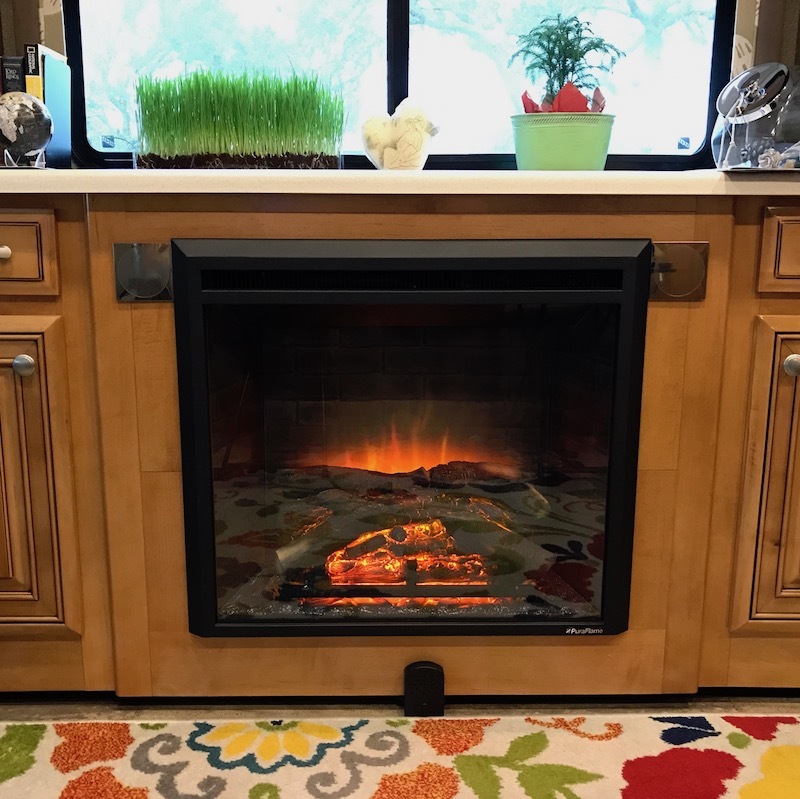 I know a lot of people are critical of the idea of putting a fireplace in an RV, but we had lived in a condo for a number of years that had an electric fireplace insert and we thoroughly enjoyed the no-mess ambiance it provided along with the supplemental heat. So, after living aboard for a few months, we decided we would remove the expandable dining table that came with the Palazzo and replace it with a fireplace insert. After researching many models in several price ranges, we decided on the PuraFlame Western Electric Fireplace Insert. We’re very happy with our choice and have used it extensively for ambiance and as a heat source. Though it clearly is not a real wood fireplace, the logset, grate and flame and brick design background are surprisingly realistic. Most competing brands that we considered create the illusion of depth using as little as 2″, whereas the PuraFlame Western Electric that we selected is actually 9″ deep, more like a real fireplace. 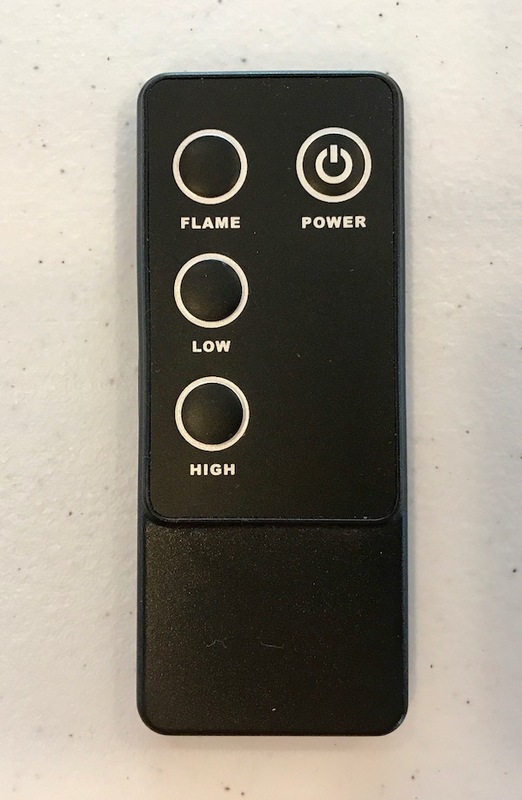 There are three flame levels – low, medium and high (high appears to be medium with some blue added). We love that we can turn on the flames without the heat and have a lovely, cozy atmosphere no matter the weather outside. 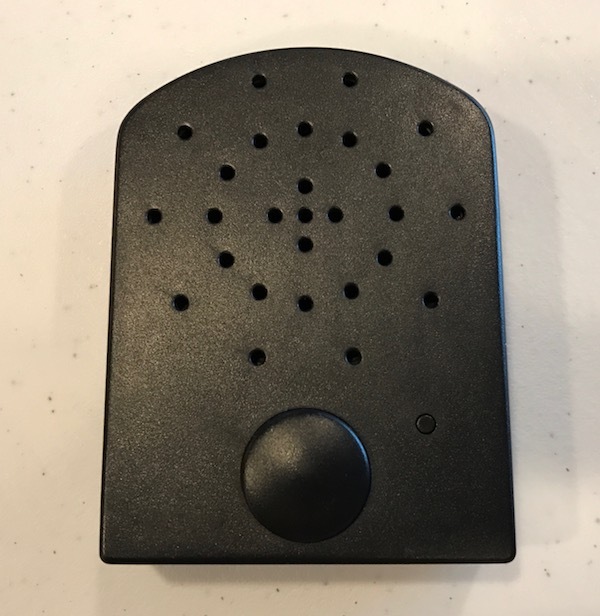 There are two heat settings (low at 750 W and high at 1500 W) and a thermostat, which for us doesn’t work that well because the temperature sensor is located on the back of the unit. In our situation, since the temperature sensor is inside the cabinetry of a slide-out, it never senses that the room is up to temperature. That aside, the fireplace works quite well at warming up our living space on chilly mornings. Oh, and if you turn on the heat without the flames, there are still nice glowing embers. The PuraFlame Western Electric Fireplace comes with a remote so you don’t even have to get off the sofa to make a beautiful fire or turn on the heat : ) Installation was also quite simple. We set up a plywood platform inside the space where we removed the table mechanism and just placed it inside and plugged it in. If you don’t have a fireplace you no longer use or other alcove, you’ll need a mantle and surround as this is not a freestanding fireplace. Two other things to note: you’ll need access to an outlet ideally behind the fireplace (this is the case in our RV, but we had to plug the fireplace at our condo into an outlet next to the fireplace – not the most aesthetically pleasing set up); and the fireplace needs a few inches of open space behind for airflow. The only other negative we’ve found with this fireplace (besides the fact that the thermostat doesn’t work in our application) is that there’s no sound of a crackling fire. We solved that with a separate, external crackler sound system that we sit in front of the fireplace. The crackler is simple with an on/off switch on the back and a toggle for three volume levels. We tend to enjoy the lowest volume setting – to us, it’s the most like a soft, crackling fire. Overall, if you’re in the market for an electric fireplace insert, we would recommend giving this model a try. It’s available in three sizes – 26″, 30″ and 33″. It’s more affordable than other brands, simple to install and operate and provides nice ambiance without the mess and smokiness of a real wood fire (which, I admit, is still nice every now and then – we just make wood fires outside). If you found this review helpful, please consider using our Amazon link(s) above or below to shop on Amazon. If you make a purchase, Amazon will give us a small commission while charging you their same low price. Thanks!